The new Glock G43X (or Glock 43X) in 9mm combines its short and slim dimensions to the extended slim frame size of the G48. It comes with a beautiful silver finished slide and a perfectly balanced slim fit for almost all hand sizes. Highly concealable, the magazine capacity of the Glock G43X in the slim 01 magazine is 10 rounds. 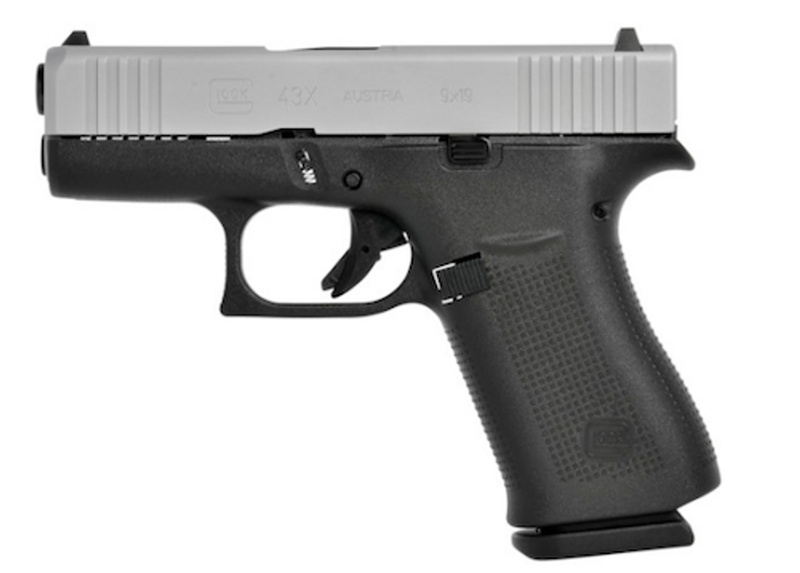 You can find the Glock 43X for sale on this page, along with Glock G43X magazines, holsters, sights, and accessories.